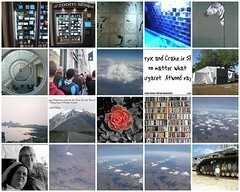 The 20 most viewed images in my photostream. Some fun tools on that site. I found Uploadr fell ovr if I tried to use it for any bulk uploading.